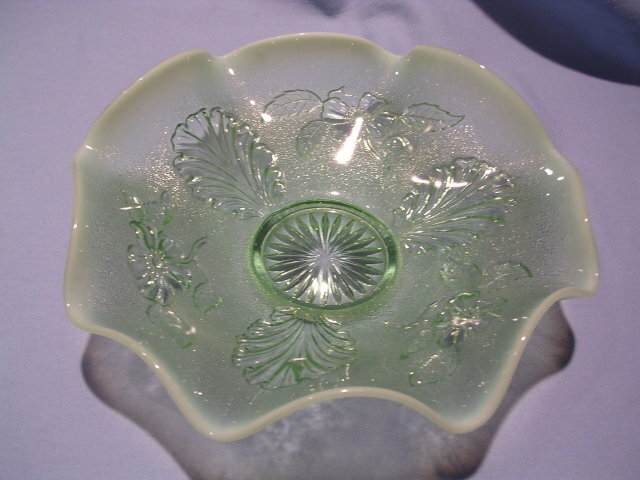 Beautiful Old Northwood Blossoms and Palms Ruffle Edge Bowl. Done in an aqua green opalescent glass with a center star. 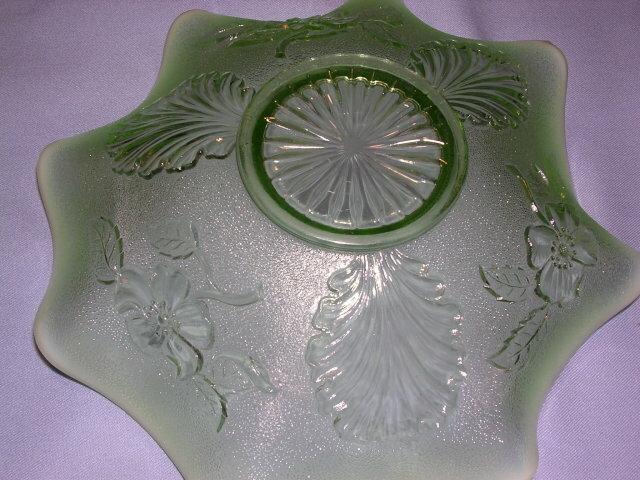 The bowl is about 2 1/2 inches high and 9 inches across, with flowers and open palm leaves around the bowl. In excellent condition with beautiful color, there are no chips, cracks, scratches or repairs. See the other carnival items we have listed. We are happy to combine items for shipping when possible. 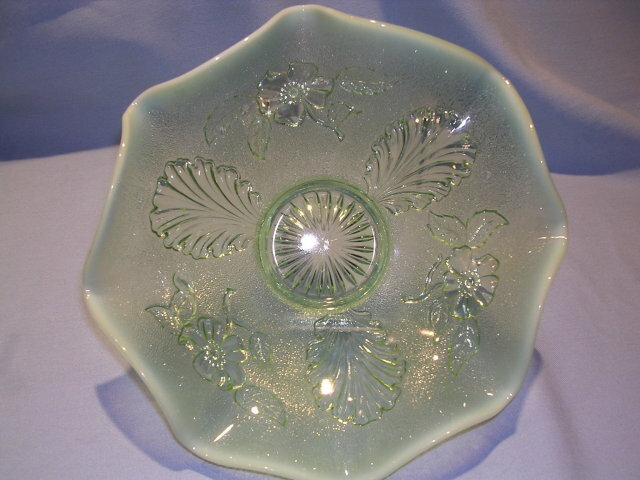 Items Similar To "NORTHWOOD BLOSSOMS AND PALMS OPALESCENT AQUA BOWL"